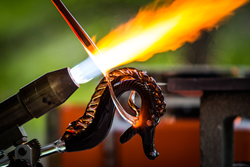 The fifth annual GlassFest, May 22-25, 2014, is a celebration of glass and the fire arts in America’s Crystal City. GlassFest draws thousands of visitors to downtown Corning, NY, each year on Memorial Day weekend. 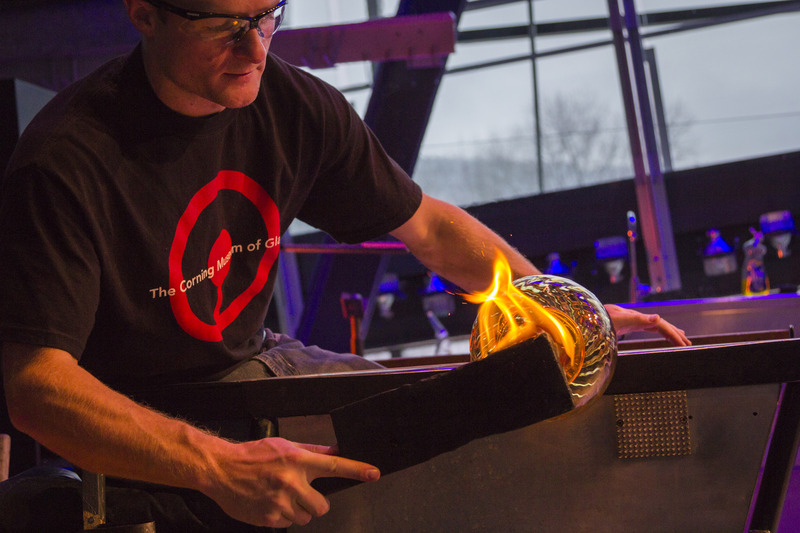 Presented by Corning's Gaffer District and Chemung Canal Trust Company, GlassFest kicks off on Thursday, May 22, with a special glass ribbon cutting ceremony held at The Corning Museum of Glass at 5pm, followed by a special edition 2300°: GlassFest party from 5:30-7:30pm. The festival continues in Corning’s Gaffer District for three more days of live glassmaking demonstrations, glass exhibits and artwork, wine and craft beer tasting, live music, a spectacular fireworks display, family friendly activities, an 8K race, museums and galleries, and special shopping and dining promotions for the weekend. Mike Wayne, Vice President and Director of Marketing of Chemung Canal Trust Company shares, "We are very pleased to continue our support for GlassFest. It continues to be an outstanding fun-filled event that appeals to all age groups and thanks to all of the generous sponsors, just about every aspect of it continues to be free. You just can't beat that combination!" Watch live glassmaking demonstrations in the Gaffer District all weekend long featuring glass artists from The Corning Museum of Glass. Eric Goldschmidt opens on Friday at 12pm with a flameworking, making glass objects using a 5,000 degree Fahrenheit gas- and oxygen-powered torch. Chris Rochelle, George Kennard and Annette Sheppard will take the stage in the afternoon on Friday, Saturday and Sunday in Centerway Square, dazzling visitors with amazing glassblowing demonstrations. The Wine and Craft Beer Tasting event is Friday night from 5-8pm, featuring more than 25 local wineries and breweries. Tickets are $15 per person, which includes a collectible wine and beer glass. Adults must be 21 years or older to participate. “We were asked nearly 6 years ago by our partners at the Corning Museum of Glass if we would consider producing an event that would celebrate the history, present and future of glass in the Crystal City. Obviously the answer was an enthusiastic, ‘Yes!’ We are thrilled that GlassFest has become such an enormous attraction and a part of Memorial Day traditions for thousands of people. It’s been five years and it just keeps getting better!” said Coleen Fabrizi, Executive Director of Corning’s Gaffer District. Rock the Park, sponsored by Simmons Rockwell, is the GlassFest signature free concert series on Friday and Saturday night. Live music in Riverfront Centennial Park featuring national bands, including Sandbox on Friday night at 8pm, and on Saturday night The PBR Band at 6pm and DSB - “America’s Favorite Journey tribute band” from Los Angeles, CA at 8pm. Live music on Sunday, features local band Nothin’ New at 1pm and Nashville recording artist, Collin Raye at 3pm in Centerway Square. Local bands will perform throughout the day on both Saturday and Sunday. On Saturday and Sunday, visitors can wander along Market Street for works of art by local and regional artists, and take advantage of special promotions offered by businesses and restaurants in Corning’s Gaffer District. Families will enjoy plenty of fun activities including a magician, face painting, inflatables, a spectacular fireworks display Saturday night and much more. At The Corning Museum of Glass, visitors can view the newly opened exhibits René Lalique: Enchanted by Glass and Designing for a New Century: Works on Paper by Lalique and his Contemporaries. Special classes are offered in the Museum’s Studio, and visitors (ages 14 and up) can sign up for a special Make Your Own Glass vase experience, offered this weekend only. 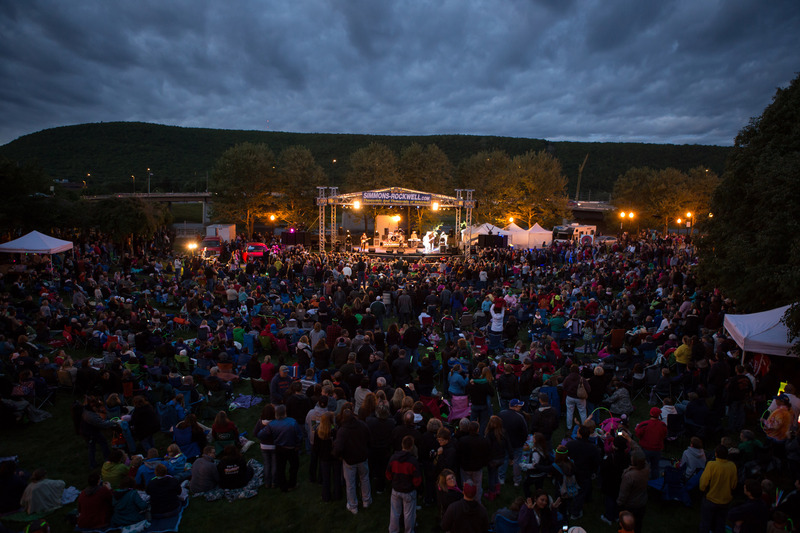 GlassFest is proudly sponsored by Chemung Canal Trust Company, World Kitchen, Corning Enterprises, Guthrie Corning Hospital, Corning Museum of Glass and Simmons-Rockwell. Corning's Gaffer District is an historic downtown business community with restaurants, retail, services and more. Explore the downtown and see why Corning was proudly named "Most Fun Small Town in America" by Rand McNally's Best of the Road in 2013. Visit Historic Market Street - one of the American Planning Association's "Great Places in America" and celebrate GlassFest - named by the American Bus Association as one of the Top 100 Events in North America for 2014. Come visit us and see why we're famous. We're more than just brick sidewalks and little white lights...we're America's Crystal City!